This initial teacher training programme enables lead schools to choose the provider they want to work with. 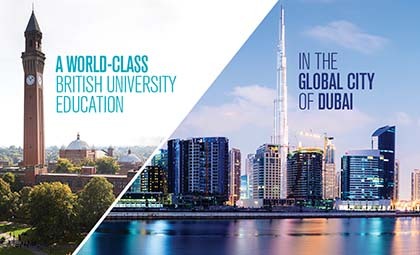 These schools play a key role in recruiting and selecting trainees and they work with the University to provide a high-quality training programme which leads to the award of the Postgraduate Certificate in Education (PGCE) with Qualified Teacher Status (QTS) at Primary level and PGDipEd with QTS at Secondary level. Applicants apply direct to a lead school and undertake their placements within the lead school’s partnership. Partnerships may include a mix of primary, secondary and special schools. The University of Birmingham is delighted to award a travel grant of £150 to all general primary (non salaried) students on our School Direct programme. This will be awarded to all successful applicants and will be available at the start of the programme. School Direct students pay a tuition fee to the University of Birmingham and may be eligible for a bursary or scholarship. School Direct (salaried) and apprenticeships are normally for graduates with sufficient teaching experience in school to undertake up to ten hours per week of unsupervised teaching during the training year. Students are employees of their schools and are paid a salary. The University does not charge fees to the student for these programmes. Levy paying schools are welcome to contact the university about the apprenticeship programme. Students on School Direct primary routes at schools partnered with the University of Birmingham will undertake a Postgraduate Certificate in Education with Qualified Teacher Status (QTS) which will provide 60 credits contributing to Master's level. Students on the secondary programmes undertake the Postgraduate Diploma in Education with Qualified Teacher Status (QTS) which will provide 120 credits contributing to Master's level. The School of Education at the University of Birmingham has a long tradition of delivering ITE courses. Its teaching has been graded as 'outstanding' for the third consecutive time by Ofsted inspectors which reaffirms the University’s status as one of the UK’s leading institutions for excellence in teacher training. The University of Birmingham partnership has worked to co-develop the programmes for School Direct and Apprenticeships. The quality of both the programmes and the newly qualified teachers that enter the profession as a result of it are critical to all partners involved. The School of Education, also offers the PGDipEd primary and secondary route as an alternative to the school direct and apprenticeship programmes. If you are unsure as to whether to chose the PGDipEd or School Direct route, it might be useful for you to also view the Initial Teacher Training webpage. You will pay tuition fees or £9,250 (2019) to the University but if you are from the European Union you will be eligible for a student loan. If you are from the United Kingdom you can also apply for a means-tested maintenance grant and a maintenance loan. You will be paid a training salary by the school in which you train. This salary will be in line with the unqualified teacher pay scale. Information on this pay scale is available from at www.education.gov.uk/get-into-teaching/salary/unqualified-teacher-pay-scales. You will not pay tuition fees to the university and you will not be eligible for a training bursary. More information on funding may be found on the Get into Teaching website. You may also be interested in our PGDipEd Programmes. All applicants to Intial Teacher Education programmes must hold a degree from a UK Higher Education Institution. Please view the Postgraduate Diploma Primary Education webpage or Postgraduate Diploma Secondary Education webpage for details of entry requirements. The personal statement of a successful applicant will demonstrate commitment to teaching and understanding of what good teaching and learning is about. It will include something of your own aspirations and vision for your career and will pull on recent and relevant experience (paid or voluntary) in appropriate settings. Experience in a primary school may be set as a condition following interview. For those on the School Direct Salaried or apprenticeship programme, you must have sufficient teaching experience in school to undertake up to ten hours per week of unsupervised teaching during the training year. All successful applicants are interviewed and this will normally take place in the School Direct or employing school. The University and the school jointly design and manage the interview process with the school leading the process. Applicants that demonstrate professionalism, commitment, a realistic understanding of the pressures of the course and the profession, an awareness of the school in which they are intending to train, creativity, organisational skills and a clear recognition of the need to synthesise practical and academic learning through refection are most likely to succeed. Applications are checked by the University of Birmingham to make sure that necessary selection criteria are met before shortlisting is undertaken by schools in consultation with the university. Interviews are then organised by schools as necessary with the final decision on offers being made by the school and the university. Our primary and secondary courses are designed in conjunction with our partnership of schools, is founded on our long-standing expertise in teacher education and combines the phase, curriculum and learning and teaching expertise of specialist tutors and seconded teachers at the University with the expertise of school-based colleagues. The course combines school based learning coordinated by the ‘Lead School’ with lectures, seminars, workshops, tutorials and practical sessions at the University. Study at the University is largely within the School of Education’s dedicated building which includes specialist facilities, student study areas and online learning support. School Direct and aapprenticeship students studying with the University of Birmingham and its School Direct partner schools can expect to be highly employable. Success in finding first teaching posts for students on the University’s postgraduate programmes is very high – and substantially above national averages. In addition to this, teachers educated with University of Birmingham partnerships typically remain in the profession and build excellent careers in teaching with progression on to leadership and management roles in schools. A significant number who follow our postgraduate programmes take up the opportunity to complete Masters study at some point after their induction year, further enhancing their career development. Employability rates for University of Birmingham postgraduate trained teachers are among the highest in the country. Many of those who have trained to teach with the University of Birmingham are now in headteacher, head of department and similar roles across the West Midlands, nationally and beyond – and many give up time and expertise to contribute to our programmes. The School Direct (Special Educational Needs) course at the University of Birmingham has been perfect for me. After working in a school for one year after my undergraduate degree, the course appealed to me because of the “on the job” training element to it. Additionally, it was one of the only courses in the country which allowed me to complete the majority of my training in an SEN school. I also completed one placement in a mainstream school which I believe helped me to develop into a well-rounded and flexible practitioner. I have been fully supported by both my University tutors and my mentors in school who have worked together effectively. As well as the teaching element, the course included specialist training in school covering various areas of SEN and university sessions covering national curriculum subjects and professional development. I cannot fault the course and would highly recommend it to anyone wishing to gain a PGCE and develop a teaching career within SEN. I have also made lifelong friends along the way!